Kerala, the small, thin state on the Malabar Coast, in the southwestern region of India, had remained a void on the tourist map up to the last decade. Things changed fast in the mid-nineties with the government's policy of liberalization and suddenly Kerala has become the tourist hot spot in the 2000s. 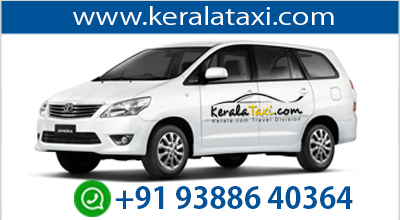 Industries are wary of starting a business in this state, as Keralites are known for an exuberant consciousness of their rights - a result of living in the most educated and developed state of the country with a literacy rate of a 100 per cent. According to Bekal Rama Nayak, a local Kannada writer, the word, Bekal is derived from the word Baliakulam, meaning Big Palace. The place is said to have been the seat of a big palace in the past. The term Baliakulam got corrupted as Bekulam and later as Bekal. It was usual in older days for every royal palace to be protected by a fort. The Bekal for might have, therefore, existed even from early days of the Chirakkal Rajas. While giving a description of the Kolathiri Kingdom in his Kerala History, K.P. Padmanabha Menon writes; “The eldest of the male members reigned as sovereign Kolathiri. The next in succession, the heir apparent, was the Thekkelamkur. The residence assigned to him was the Vadakara fort. The third in succession was the Vadakkelamkur in charge of Vekkolath fort. This V(B)ekkolath fort is identified by some scholars as the present Bekal”. H.A.Stuart, in his Handbook of South Canara (1985), makes this observation: "Several forts were built by the Shivappa Nayaks of Badnore between 1650 and 1670 A.D. The two forts of Bekal and Chandragiri were originally under the Kolathiri or Chirakkal Rajas until the time of Shivappa Nayaka’s invasion. Perhaps, the Bednore rulers might have rebuilt and improved it”. The Bekal fort, which is of great historical and archaeological interest, is the largest and best preserved of its kind in the district and the land on which it is situated, runs into the sea with fine bay towards the south. According to the South Canara Mannual, Bekaln fort fell into the hands of Haider Ali in 1763. It housed the Huzur of Canara during Tipu’s time and the remains of a gallow reminiscent of the days of Mysorean occupation were seen here till a few years back. After the overthrow of Tipu Sultan in 1799, Bekal was incorporated into the dominions of the English East India Company. The erstwhile Kasaragod taluk of South Canara district was known as Bekal for more than half a century. The Bekal fort is now under the Archeological Department of the Government of India. There is a Traveller's Bungalow, maintained by the Public Works Department of the State Government within the Bekal fort. The natural scenery at Bekal is alluring and makes a visit to the place an exhilarating experience. There is a recently renovated temple dedicated to Hanuman, at the entrance to Bekal. An old mosque is also situated very near the fort and this is believed to have been founded by Tipu Sultan. 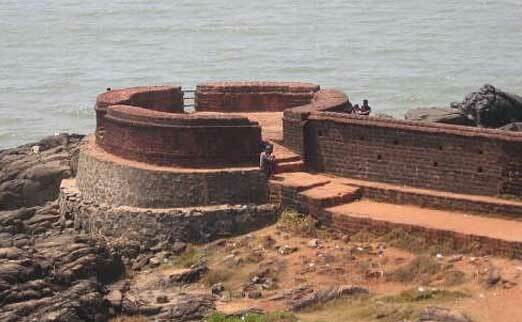 Large number of forts, big and small like Bekal, Chandragiri, Hosdurg, Kumbala, Panayal, Kundamkuzhi, Bandaduka etc. reveal the historical importance of this land. Bekal Fort remains the largest and best-preserved fort in kerala. History and legend are interwoven together in Bekal, particularly regarding its antiquity.